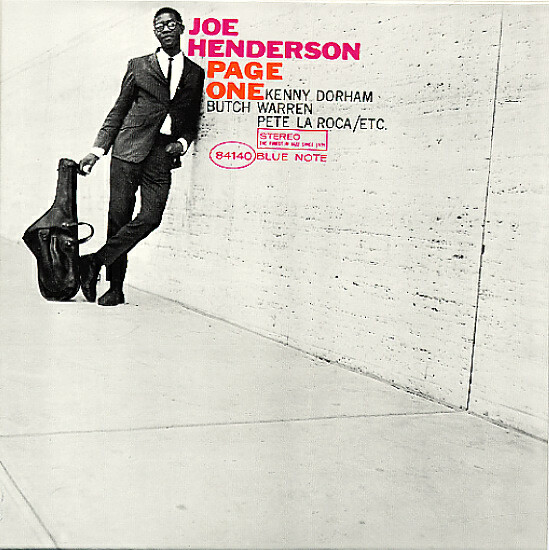 One of Joe Henderson's first true moments of greatness – a landmark session recorded with a quintet that includes Kenny Dorham on trumpet, McCoy Tyner on piano, Butch Warren on bass, and Pete LaRoca on drums! LaRoca's very free on the drum kit, and gives the set a rhythmic looseness that's a bit of a hint at some of Joe's 70's recordings – and that style's even further supported by Tyner's long flowing lines on piano, and Dorham's sparkling work on the trumpet! Includes the classic reading of Kenny's "Blue Bossa", plus the titles "Recorda-Me", "Jinrikisha", "La Mesha", and "Homestretch". © 1996-2019, Dusty Groove, Inc.